Special 22g 304 embossed chute material counters oil suction on flat parts. Edges are "hemmed" (folded) for exceptional strength and sharp edge elimination. Change chutes (trays) without tools in seconds to aid with friendly quick die change. Thousands in service since 1994. 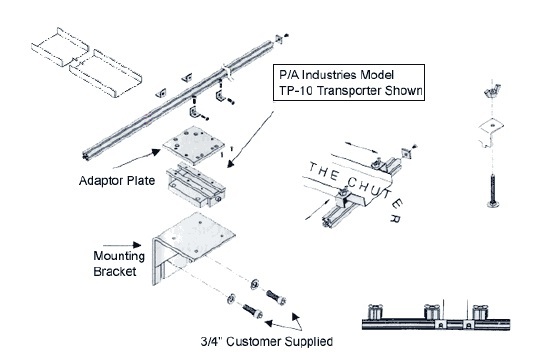 ​For typical pricing and and information on how to order the Chuter System - download The Chuter Brochure.